Nothing makes me happier than working with couples. I love to see people that love each other. I guess that's what makes me suited so well for my job! With this beautiful destination wedding, Shelly and James travelled with their family down from Michigan to enjoy the beautiful weather in Myrtle Beach for their nuptials. It was so much fun to see Shelly prepare with her family and even an impromptu footrace in her dress down the hall with her son! These are the types of moments I love to capture. 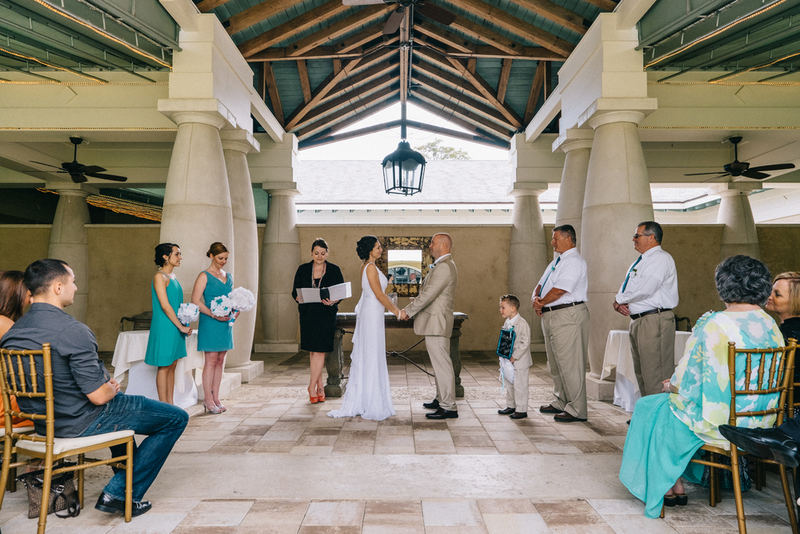 21 Main Events is located inside of North Beach Plantation with a gorgeous courtyard perfect for weddings of almost any size. Another bonus to 21 Main Events are the vast options for your event. Inside or outside, small or big, they have so many different ways to make it special just for you! Are you looking for a photographer? Make sure to contact Jarrett Hucks Photography. Award winning photography and customer service. We want to help you make your special day that much more special!